Beautifully drag a bit of Halloween into the holidays with your footwear. 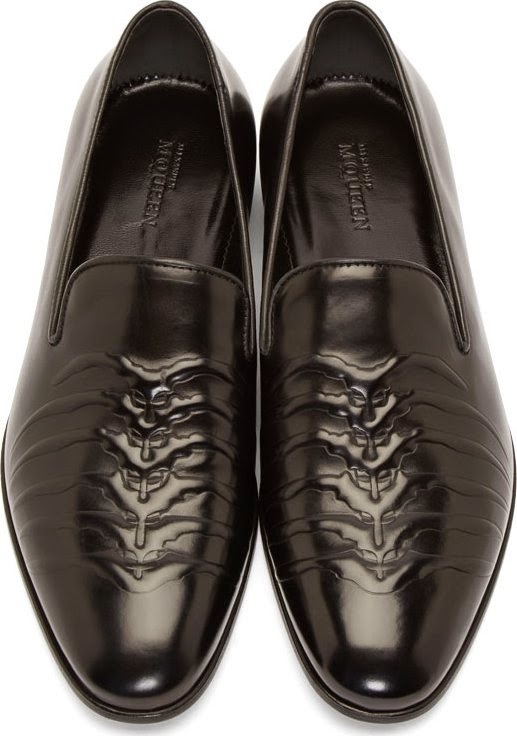 These Alexander McQueen Black Rib Cage Loafers are a handsome walk through the bizarre and skilled hands of the camp at McQueen. 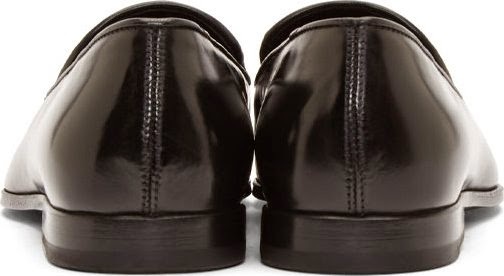 Made of pristine black leather, the vamp of the shoes have the embossed pattern of a rib cage. 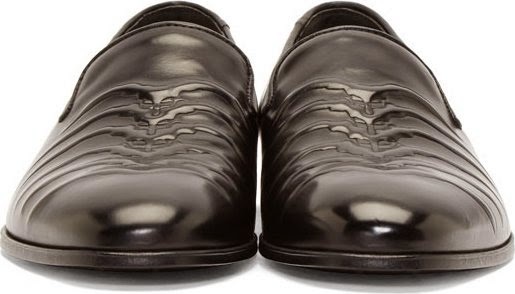 It's a cool effect that still keeps the shoe adhering to the cool and startling standards of McQueen. Available now at Ssense.com.